Srinivasan.si from Chennai, B.Sc Graduate. EXPERT LEVEL KNOWLED.. WINTEL SERVER SUPPOR.. OS MIGRATION LIFT AND SHIFT DATACENTRE SUPPORT PROVISIONING AND DEC..
are one of expert skill area's of Srinivasan.si . 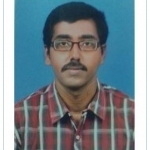 Srinivasan.si is working in IT Software industry.